Draft: 2011, San Diego Padres, 1st rd. Is married.....wife's name is Julie ... Graduated from Abington Heights (PA) High School ... Attended Virginia Military Institute, where he earned freshman All-American honors before transferring to Indian River State College in Fort Pierce, Florida ... Committed to the University of Miami prior to signing with San Diego ... Has an English bull terrier named Jethro and a Jack Russell terrier named Jacoby ... His all-time favorite baseball player is Ken Griffey Jr. ... Follow him on Twitter (@cory_spang15). Batted .235 with 7 HR and 25 RBI in 116 games with San Diego ... Made 66 starts (30g at 2B, 29g at 3B, 5g in LF, 2g at DH) ... Had three stints with the team (Opening Day-4/27, 5/12-7/9 and 7/22-end) ... Made pitching appearances on 6/5 vs. Atlanta (1ip, 2h, 1r, 1er, 1bb, 0k) and 6/20 vs. Oakland (1ip, 2h, 2r, 2er, 2bb, 0k).....had previously never pitched at the professional level ... Batted .341 with 4 HR and 16 RBI in 21 games at Triple-A El Paso ... Was released by San Diego on 11/26 ... Signed as a free agent with Milwaukee on 1/4/19. Set career highs in a multitude of categories, including games played (129), runs scored (57), hits (117), doubles (18), home runs (13), RBI (46), stolen bases (11), walks (34) and total bases (178)... Began the season with El Paso (AAA) and was recalled by the SD on 4/25…at the time of his call-up, his .348 (23-for-66) average led the Padres minor league system... Hit safely in 12 of his first 14 games with SD from 4/25-5/9, going 14-for-47 (.298) at the plate... Tied his career high of three hits on 5/15 vs. MIL and tied his mark twice more on 6/10 vs. KC and 8/14 vs. PHI... Also on 5/15 vs. MIL, recorded his second career multi-steal game (3x, last: 6/25/15)…stole second and third base in the bottom of the ninth inning... His four-game multi-hit streak from 6/9-12 set a career high…finished the season with three four-game multi-hit streaks... Hit his eighth home run of the season off Madison Bumgarner on 6/21 at SF...it was his third home run in five games and his third career homer off a lefty (the others coming off Jorge De La Rosa on 4/9/16 at COL, and vs. TEX's Alex Claudio on 5/8/17)…before Spangenberg's blast, the last left-handed batter to go deep off Bumgarner was ATL's Freddie Freeman on 8/28/16... Had a career-high four-game extra-base hit streak from 8/12-15…set his career high hitting streak at eight games on 4/30-5/9 and repeated the feat twice more (7/16-23 and 8/9-16)…also had a career-high 14-game on-base streak from 7/16-7/29... Led the team in bunt hits (five) and tied with Manuel Margot for the club lead in infield hits (21)... Joined Giancarlo Stanton, Bryce Harper and Nolan Arenado as the only NL players to have 10-or-more hits, runs and RBI from 7/16-28... Recorded his second multi-home run game of the season (also, 6/11 vs. KC) and the third of his career on 8/13 at LAD…his third-base counterpart, Justin Turner, also homered twice in the game, marking the fourth game in 2017 which both starting third basemen produced multi-homer games…entering 2017, that had happened just four times in the modern era (since 1900), per ELIAS... Homered in a career-high three consecutive games from 8/13-15…in those three games, he went 7-for-11 (.636) with a double, four home runs, eight RBI and seven runs scored... Hit .301 (66-for-219) at Petco Park with 12 doubles, one triple, six home runs, 23 RBI and eight stolen bases…hit .227 (51-for-225) on the road... Went 3-for-7 with the bases loaded, producing eight RBI. Had his season cut short after landing on the 15-day disabled list on 4/20 with a strained left quad, missing the remainder of the year...Transferred to the 60-day disabled list on 8/13...Started for the Padres on Opening Day at Petco Park, on 4/4 vs. Los Angeles-NL, playing second base...Against left-handers in his limited play, he hit .333 (5-for-15) with a home run. In his first full Major League season he played in 108 games, missing time with a stint on the disabled list....Made the club's Opening Day roster, his first career Opening Day roster....Overall on the year he made 82 starts, including 67 at second base, 14 at third base and one as the designated hitter....Of his 82 starts, 46 came over the club's first 77 games from 4/6-6/27 before he landed on the 15-day disabled list on 6/30, retroactive to 6/28, with a left knee contusion....Before landing on the DL, had been hitting .290 (27-93) over his previous 30 games from 5/24-6/27....Played in nine rehab games between Double-A San Antonio and Triple-A El Paso before being reinstated from the disabled list on 8/14, missing a total of 38 games....After being reinstated from the DL he started 36 of the club's final 47 games of the season from 8/14-10/3....Over 67 games in the first half of the season he hit .254 (45-177) before hitting .294 (37-126) over 41 games in the second half....Against left-handed pitching on the year he hit .273 (15-55) while hitting .270 (67-248) vs. right-handed pitching. Split the season between Double-A San Antonio and the Padres, making his Major League debut...Made his first Major League stint after having his contract selected from Double-A San Antonio on 9/1…made his Major League debut that day at third base, batting eighth, and going 1-for-4 with two RBI...With his two-run single in his Major League debut, became the third player in Padres franchise history to record multiple RBI in his first career game, joining Kevin Higgins on 5/29/93 and Jim Wilhelm on 9/4/78, both of whom had two RBI in their big league debuts...Hit a pinch-hit, walk-off home run in his second career game on 9/2 vs. ARI, becoming the first player in Padres franchise history to hit a walk-off home run within his first two career games...only three active Major League players have hit walk-off home runs within their first two career games: Miguel Cabrera-FLA in his first career game on 6/20/03 vs. TB and Drew Stubbs-CIN on 8/20/09 vs. SF in his second career game...Was the third rookie since Petco Park opened in 2004 to hit a walk-off home run, joining Josh Barfield on 9/4/06 vs. COL and Paul McAnulty on 9/6/06 vs. COL...Upon the completion of the 2014 season, each of the last two Major League players to hit a pinch-hit, walk-off home run for their first career home runs have been members of the Padres: Paul McAnulty on 9/6/06 and Cory Spangenberg on 9/2...Hit a second pinch-hit home run on 9/6 at COL, his second career homer, becoming the first Padres player in team history to have his first two career home runs come as a pinch-hitter and the first to have his first two career pinch hits be home runs (ELIAS & STATS Inc.)...Hit .290/.313/.452 (18-for-62) with two doubles, a triple, two home runs and nine RBI in 20 games for the Padres over the final month of the season…among National League rookies with at least 50 plate appearances, his batting average ranked ninth, his OBP ranked tied for ninth and his SLG ranked sixth during the month of September...Hit .331 (93-for-281) with 17 doubles, eight triples (led the Texas League), two home runs and 22 RBI in 66 games for Double-A San Antonio in 2014… missed 77 games from 4/16 - 7/2 after suffering a concussion sliding into second base. the Missions to the Texas League title...Prior to promotion to San Antonio, was named to the California League mid-season All-Star team...Hit .403 (27-for-67) with runners in scoring position at Lake Elsinore...After a tough start to his Double-A career hitting .243 in June for San Antonio, batted .284 in July and then .330 in August...Played for Peoria in the Arizona Fall League, batting .308 (20-for-65) with four doubles, a triple, two home runs, seven RBI, 12 runs scored and seven stolen bases in eight attempts. Spent the entire campaign with High-A Lake Elsinore, hitting .271 and stealing 27 bases...Named the No. 1 second base prospect by MLB.com prior to the season...Also named the No. 5 prospect in the Padres organization by Baseball America entering 2012...also rated as having the best strike-zone discipline in the Padres organization. games with Class-A Fort Wayne...Named a Short-Season All-Star by both Topps and Baseball America following the season. March 22, 2019 Milwaukee Brewers optioned 3B Cory Spangenberg to San Antonio Missions. January 4, 2019 Milwaukee Brewers signed free agent 3B Cory Spangenberg. November 21, 2018 San Diego Padres released 3B Cory Spangenberg. November 20, 2018 San Diego Padres designated 3B Cory Spangenberg for assignment. July 22, 2018 San Diego Padres recalled 3B Cory Spangenberg from El Paso Chihuahuas. July 9, 2018 San Diego Padres optioned 3B Cory Spangenberg to El Paso Chihuahuas. May 12, 2018 San Diego Padres recalled Cory Spangenberg from El Paso Chihuahuas. April 27, 2018 San Diego Padres optioned 3B Cory Spangenberg to El Paso Chihuahuas. April 25, 2017 San Diego Padres recalled Cory Spangenberg from El Paso Chihuahuas. April 1, 2017 San Diego Padres optioned 2B Cory Spangenberg to El Paso Chihuahuas. November 7, 2016 Cory Spangenberg roster status changed by San Diego Padres. August 13, 2016 San Diego Padres transferred 2B Cory Spangenberg from the 15-day disabled list to the 60-day disabled list. Left quad strain. April 20, 2016 San Diego Padres placed 2B Cory Spangenberg on the 15-day disabled list. Left quad strain. August 14, 2015 San Diego Padres activated 2B Cory Spangenberg from the 15-day disabled list. August 11, 2015 San Diego Padres sent 2B Cory Spangenberg on a rehab assignment to El Paso Chihuahuas. August 3, 2015 San Diego Padres sent 2B Cory Spangenberg on a rehab assignment to San Antonio Missions. 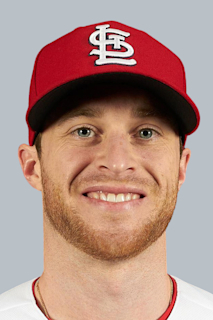 November 19, 2014 2B Cory Spangenberg assigned to Leones del Escogido. September 1, 2014 San Diego Padres selected the contract of 2B Cory Spangenberg from San Antonio Missions. July 2, 2014 San Antonio Missions activated 2B Cory Spangenberg from the 7-day disabled list. June 27, 2014 sent 2B Cory Spangenberg on a rehab assignment to Eugene Emeralds. June 25, 2014 San Antonio Missions sent 2B Cory Spangenberg on a rehab assignment to AZL Padres. April 16, 2014 San Antonio Missions placed 2B Cory Spangenberg on the 7-day disabled list. Head injury. January 23, 2014 San Diego Padres invited non-roster 2B Cory Spangenberg to spring training. June 7, 2013 2B Cory Spangenberg assigned to San Antonio Missions from Lake Elsinore Storm. February 27, 2013 IF Cory Spangenberg assigned to San Diego Padres. July 31, 2012 Cory Spangenberg roster status changed by Lake Elsinore Storm. June 29, 2012 Lake Elsinore Storm placed 2B Cory Spangenberg on the 7-day disabled list. June 27, 2012 Lake Elsinore Storm activated 2B Cory Spangenberg from the 7-day disabled list. June 22, 2012 Lake Elsinore Storm placed 2B Cory Spangenberg on the 7-day disabled list retroactive to June 20, 2012. March 31, 2012 2B Cory Spangenberg assigned to Lake Elsinore Storm from Fort Wayne TinCaps. March 4, 2012 IF Cory Spangenberg assigned to San Diego Padres. July 13, 2011 Cory Spangenberg assigned to Fort Wayne TinCaps from Eugene Emeralds. June 16, 2011 Cory Spangenberg assigned to Eugene Emeralds from San Diego Padres. June 10, 2011 San Diego Padres signed 2B Cory Spangenberg.